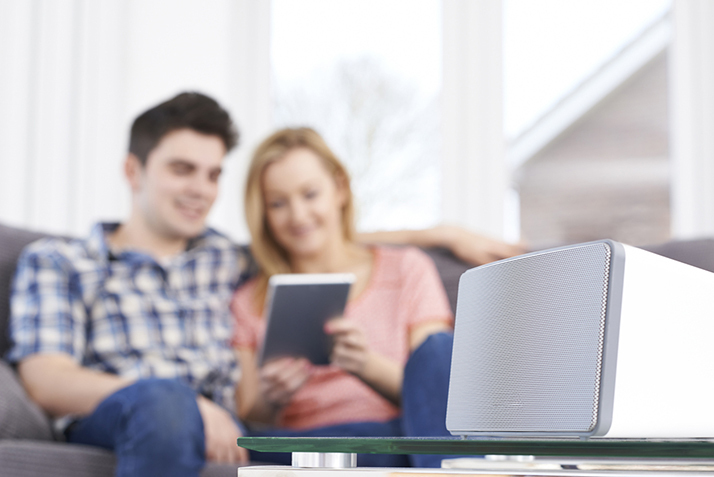 Blog - What Are the Pros and Cons of Wireless Sound? What Are the Pros and Cons of Wireless Sound? If there's one technology that has rapidly improved over the last 30 years, it's audio systems. Gone are the days of walking around the house with your cassette player clipped to your pocket. Now, with the rising popularity of streaming music sites, you have access to millions of songs, 24-7. When you're in the comfort of your own home, though, what's the best way to take advantage of this access? A lot of people are turning to wireless sound systems. Here are the pros and cons to making that choice. Wireless sound systems are non-invasive to the construction of your house. Wires can be an eyesore, and hiding the signs of a wired system can be costly. If your house isn't already built with one, the process of setting up your home will require a technician and minor construction. Wireless systems, on the other hand, can plug into any existing outlets. Because wireless systems are so visible, audio companies are becoming more and more fashion conscientious. You can find wireless systems that match the decor of your home. Most importantly, wireless systems are connected to your smartphone. Phones can connect to the speaker using Bluetooth, or for even better sound quality, using WiFi. Change the song on your streaming music app with the click of a button from any room in the house. The biggest complaint with wireless systems is sound quality. Because music has to travel between devices, the audio gets compressed, which decreases the quality of the recording. Sound quality is also compromised when wireless systems cram all of their parts into tiny packages that effect the room available for sound output. Wired sound systems can produce a clearer, crisper sound for these reasons. The last con is that wireless systems can have a limited Bluetooth range. If your smartphone gets too far away from the speaker, music will start to decrease in quality and cut out. With technology improving almost daily, the flaws of wireless sound are being tackled. With the background provided here, and a bit of your own research, you can find the right wired or wireless product just for you.